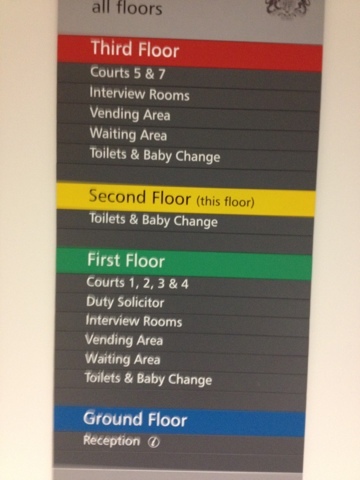 Diary of a Criminal Solicitor: Where Has Court 6 Gone? Maybe it's like the floor on Being John Malcovich? Where have the updates to this blog gone? Really some people can face problem for this. Its a informative post. To create a such quite article is de facto wonderful,I daily scan your blogs and provides my announcement for that here this text is just too nice so entertaining . Given the way things are going, perhaps it has been made into a secret court for national security or other politically sensitive cases ;-) How can i Understand these laws and regulation regarding sinsitive cases as well....? ?